Helsinki Summit USA-Russia proposal +Cyber-Law CoE Expert to "EF" on Election Interference: Who ? Home newsitems Helsinki Summit USA-Russia proposal +Cyber-Law CoE Expert to "EF" on Election Interference: Who ? *Strasbourg/Angelo Marcopolo/- Who "Interfered" the most in the US 2016 Elections ? 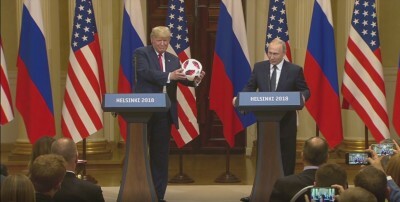 And what Top Experts on Cyber-Security and/or relevant Law Data told "Eurofora" about that notorious "Election Interference" row, and the Proposals made, on this occasion, at the Helsinki Summit between USA and Russia Presidents Don Trump and Vladimir Putin ? Arms Race, particularly Nuclear Weapons with Nowadays Technologies, Nuclear Proliferation (including North Korea, or Iran, after India and Pakistan etc) ; the "Scourge" of a "Creeping", Deadly Islamist Terrorism, cowardly Targetting mainly innocent Civilian People ; "Peace" and "Regional Crises", (1st of all Syria : mainly to Help War Refugees Return Back Home, and protect Europe a.o. from a Big and specific Demographic "Pressure", as Both, and particularly President Putin underlined. But also Middle-East/Israel, Ukraine conflict : which Divides the European Continent since 2014, etc) ; International Economic Issues (Growth, Trade, Energy, etc) and/or Environment problems, etc. Both Leaders pointed with a crystal-clear way towards those and/or other Obvious Global Priorities. But, Suddenly, the only "Breaking News" in the Establishment's Medias, which Surfaced right at the Eve of that Crucial Helsinki Top Summit, (the 1st full, after a Brief Trump-Putin Meeting on the Sidelines of the Hamburg "G20" Summit, last July 2017 in Germany, and a Short Exchange during APEC's 2018 Summit : Comp. "Eurofora"s NewsReports from Hamburg, f.ex., at : ... + ..., etc), was Only a partly "Re-Make" about USA's Opposition Bitterness for having Lost the 2016 US Presidential Election, where Appointed Special Attorney Mueller claimed, Further, that he would have Found out Who was that Group of "12" Russian Agents accused of having allegedly Accessed Data in the Dems' Party's ("Socialist"/Liberal Opposition) HeadQuarters, and "Leaked" them to the Public, Before People Vote, (See, f.ex. : ..., etc). => Wasn't that (obviously "Dated") Disruption of World-wide Big Issues, most affecting all Humanity (Comp. Supra), by such a sudden "Invasion" of Internal US Politics (interressing mainly its National Opposition Party's grievances), a real "Interference", in the full meaning of the word ? - "This probe is a Disaster for our Country (USA) ! ", "It is a Shame", "Ridiculous", Denounced Trump. + "And it has had a Negative Impact upon the Relationship of the 2 Largest Nuclear Powers in the World. We have 90 % of Nuclear Power between the 2 Countries. ...it’s Ridiculous what is going on with the Probe" (by special attorney Mueller). - "Total Nonsense ! ", decried Vladimir Putin about "Collusion" claims checked by that. "Let's discuss these matters in Substance, rather than use Russia-US relations as a Bargaining Chip in the Domestic political strife inside the US", he urged, instead. => In fact, "as you know, the whole concept of that came ... out as a reason Why the Democrats ("Socialists"/Liberals) Lost an election ... that was a well-fought battle ... But ... there was no collusion; I didn’t know the President (of Russia); there was Nobody to collude with; there was No collusion with the Campaign. And every time you hear about all of these 12 or 13, it’s stuff that has Nothing to do – and frankly, they admit – these are Not people involved in the Campaign". "The Main thing ... is Zero Collusion", replied the US President to a relevant Press Question. - Therefore, "as President, I cannot make decisions on Foreign Policy in a futile effort to appease Partisan critics, or the Media, or Democrats ("Socialists"/Liberals) who want to do nothing but resist and Obstruct", Don Trump explained. "Nothing would be Easier politically than to Refuse to meet, to refuse to engage, But that would not accomplish anything". >>> On the Contrary, "Constructive Dialogue between the US and Russia forges the opportunity to open new Pathways toward Peace and Stability in our World. I would rather take a Political Risk in pursuit of Peace, Than to Risk Peace in pursuit of Politics", he vowed. - However, "During Today’s meeting, I addressed directly with President Putin the issue of Russian interference in our (US) elections. I felt that this was a message best delivered in person. We spent a great deal of Time talking about it, and President Putin may very well want to Address it, and very strongly, because he feels very strongly about it, and he has an Interesting Idea", Trump Revealed from the outset, (See Infra). - Indeed, "Once again President Trump touched on the so-called Russian Interference in the Electoral process in the US. I had to Repeat what I said many times before ... : Russia (as a State) has Never, and Will Never Interfere in US Domestic affairs, including the Electoral process", Vladimir Putin promised. => Moreover, Today, "We (Moscow) are Ready to Examine all concrete materials that may be presented", the Russian President Announced. - This could be done, "f.ex., in the framework of the CyberSecurity working Group, the establishment of which we Discussed during our meeting in Hamburg"'s G20 Summit, he proposed, initially, (Comp. "Eurofora"s NewsReports from the spot, f.ex. : ..., etc). - "Tell me at least 1 Fact that Proves Collusion during the (2016) Election campaign in the US. This is total Nonsense. We did Not (even) Know each other ! ", he reminded. + However, from a Different (Non-Governemental) point of view, "it's only Natural that the Russian Public (i.e. Private Persons) developed a certain Attitude towards the (US Presidential) Candidates. There is Nothing UnUsual about this". Simply Because "1 Candidate, Mr Trump spoke of the necessity to Restore Russia-US Relations. Naturally, the Russian Public (i.e. the People) developed a Liking for this candidate, and Various people expressed this attitude in Different Ways", (f.ex. also by trying to participate in World Wide Web's Debates, etc). "Isn't it Natural to have a Liking for a person Who wants to Build Relations with our country ? This is Normal", he pointed out. - F.ex., in this regard, Previously, there were some "Accusations against the (Private Russian)Company "Concord"". But "this company hired American Lawyers, and the Accusations against it just Fell apart in a US Court ! ", he observed. "This is the 1st thing". +"Second, as for the 12 alleged Russian intelligence Officers (Comp. Supra), I do Not Know about this yet", But "I'll have a look on that", he promised, (concerning the Latest Mueller's Accusations, curiously published at the Eve of this exceptional Helsinki US-Russia Summit : See ..., etc). (a) Simply use "the Treaty, between the US and Russia, on "Mutual Legal Assistance in Criminal Matters" of 1999", he suggested. => F.ex., the US relevant "Commission led by US Special Counsel ...Mr Mueller ... should send us (Russian Federation), in compliance with this Treaty, an official Request for Interrogating the People that he believes to be guilty of committing a Crime. Our (Russia's) Prosecutor-General’s Office and Investigative Agencies can Interrogate these People, and Forward the relevant materials to the US", he suggested. 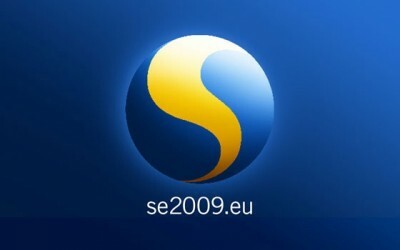 + It's Interesting to note, in this regard, that Russia is, since 1996, Member of the Paneuropean Organisation of the CoE, (HeadQuartered in Strasbourg : and where USA has a Special "Observer" Status), whose 47 Member Countries have all Signed and Ratified a similar, Pioneer (1959) Treaty for Mutual Assistance in Criminal matters. In Addition, as the New CoE's Director General on Legal and Human Rights' affairs, Christos Giakoumopoulos, has Recently Observed, from the outset, at his Speech at the on "Russia and the ECHR", in the "International Legal Forum", at Saint-Petersburg, on May 2018, due mainly to the Transformations influenced by ECHR's case-law and by the New Russian Constitution, "as a result", about 20 Years Later (1996-2018), "Russian Federation is governed Today by a corpus of Law which is Modern, Effective and ... intrinsically European". - " We can allow US official representatives, including those from the Mueller-led commission, to be Present at the Interrogation" in Russia, Vladimir Putin announced. 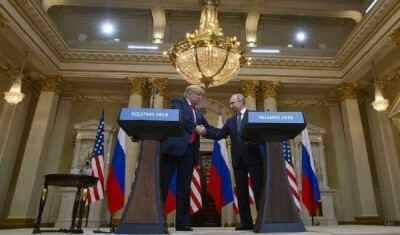 - But, "Certainly, in this case, we will be seeking Reciprocal steps from the US : We’ll expect the American party to Interrogate the Officials, (including US intelligence, Federal State Officers : See Infra), who are Suspected of committing illegal acts in Russia, in the Presence of Our investigation Officers" in the USA, as well, he proposed. >>> On this regard, the Russian proposal concerns "the High-profile Case, involving (controversial, London-based Businessman, linked to the complicated, multifacet Magnitsky affair, and against whom an INTERPOL Warrant was edicted, without being really applied) Mr. (Bill) Browder’s "Hermitage Capital" Company. According to our (RF) investigative officers, a Group of people – Mr Browder’s business Partners – who illegally made over $1.5 Billion in Russia, did Not pay Taxes, either in Russia or the US, but Transferred this Money to the US", where, in Addition, "they contributed $ 400 Million to Ms (Hillary) Clinton’s Election Campaign" of 2016, Vladimir Putin Denounced. - "This is Official Information, included in Their (Browders' Business Partners) Reports : $400 Millions" for Hillary Clinton's Campaign, he noted. ++ In Addition too this obvious INTERFERENCE in the 2016 US Presidential Election, by Private persons, "We (Russia) have Grounds to Suspect that (Moreover) US Intelligence Officers (i.e. USA's Federal State's Agents) supported these illegal transactions", Vladimir Putin claimed. - More particularly, concerning those Browders' Business Partners (Comp. Supra); "it was up to them, They Might (perhaps) have done this Legally" (i.e. Fund Hillary Clinton), "but the Gains were ill-gotten", (i.e. something apparently Equivalent, also, to Money Laundering too ! ), he denounced. +++ Opening an Horizon able to Advance even well Beyond that, the Russian President added that "this is only 1 Step Forward", because "We (USA-Russia) can Talk about Expanding our Cooperation. You’re Welcome" : F.ex., "there might be Options that are provided for in the appropriate intergovernmental Treaty", he highlighted. Obviously, that Collegue didn't explain precisely Which Agency, under Whose Responsibility, and with Which Facts or Arguments, he meant : Perhaps those Claims already made by "Socialist"/Liberal former POTUS Barack Hussein Obama - Appointees ? Or, perhaps, "under" the current (Trump-appointed) New Attorney General, Jeff Sessions, who has notoriously ...Desisted himself from the relevant Investigations ? Maybe under Mr. Mueller's Controversial Investigation : Himself owing to Obama his Exceptionaly Prolonged Service as former FBI Director, and Later Re-Hired as "Special Investigator" notoriously after Deputy Attorney General Rod Rosenstein's intervention on 2017, Himself having initialy been Hired at his 1st Job in a Federal Attorney Administration Directed then by Mueller, as Early as since Back on 1990-1993 ? (See : ..., etc). Moreover, of Which "Conclusions" did he refer : May be, merely those strictly Limited into an Anonymous Paper Vaguely evoking some Foggy ..."Estimations", "Best Assumptions", and so on, withOut Citting any Concrete, unquestionable and verifiable Evidence at all (as Most of such "Intelligence" Papers recently used to do in such matters) ?... And What has this to do with the Crystal-Clear, Court proceedings and/or Legal Rules to which the Russian President referred, Making a concrete Proposal for a much more Transparent and Balanced Procedure as Solution (Comp. Supra), with the full Agreement of the New US President (+See also Infra) ? - "2nd Point" : "I consider Russia to be a Democratic State (Comp. Supra). If you don't deny (that) the USA is also a Democratic State, ...then, the Final Conclusion in such Disputes can Only be made in a Court, (i.e. after a Transparent, Contradictory Procedure, and Judged by an Independent and Impartial body, etc, according to Internationaly Established Principles, as, f.ex. also ECHR's Article 8). "Not an <<Intelligence Service>>" (i.e. practically in an One-Sided Dark), he clearly stressed. + Moreover, concerning Private Persons, as those who had been Previously Accused by Mueller etc. to have Allegedly Tried to "Interfere" in US Elections and Other Political Events, already as Early as since 2014 (i.e. entirely under Obama's tenure, as Trump also observed), "a Company I mentioned (Comp Supra) "Concord" (including Internet activities, Catering, etc), and one of our Restaurateurs are being accused of interference" Putin noted. But, "Even if that might", eventually, "be the case, ...So what ?" "...They do Not represent the Russian State", he pointed out. - F.ex., on the Other (USA) Side, "you have Many people, including those with major Billion-dollar fortunes, such as Mr Soros" (controversial Billionaire). "He Interferes Everywhere he can. But what is this? Is it the position of the American State? No. This is the position of a Private person", he observed. => When "there is a trial in a USA Court, ...the Court is always the Final instance. Let them figure it out, we will see", he advised. - But, "this applies to Private individuals only, Not to the State", President Putin Distinguised. => So that, concerning "the Latest Accusations against the Alleged Staff of our (Russian State's) Special Services : There is an InterGovernmental Agreement. Go ahead and Send an official Request. Let the Mueller Commission send us a request, we will do our part, and provide an answer", the Russian President reiterated, Confirming his earlier promise, (Comp. Supra). + However, in Addition, "We can Expand this Cooperation, as I already mentioned, (i.e. by Adding the Presence of USA Officials during Investigations inside Russia : Comp. Supra), but only on a Reciprocal basis. We, then, would also expect the USA to provide Access to the persons we believe are the Special Services' Employees", (Comp. Supra). >>> Indeed, "President Putin ... did .. an Incredible Offer : he offered to have the people working on the case (i.e. Mueller's Investigation Team) come and work with their (Russian Government's) investigators, with respect to the 12 (Suspected) people. I think that’s an incredible offer ! ", US President Don Trump positively Welcomed, on this key point. => So, "Let's Discuss these matters in Substance ! ", concluded the Russian President, by an open Invitation to serious Dialogue on the Heart of the matter. - I.e. that the Leaders of the Establishment of the "Socialist"/Liberal Democratic Party of Obama/Clinton, had done anything they could in order to ... INTERFERE in the Primary Elections inside the DP, in order to MANIPULATE them, and Scandalously UNDERMINE, SABOTAGE Any eventual Trend in favour of the Competitors to Hillary, (i.e. particularly the Popular BERNY SANDERS, etc), and FORCE an Artificial, FAKE Pseudo-"Victory" of the Clintons, as it is well Known : Indeed that's what was Notoriously REVEALED by the "LEAK" of the DNC's E-Mails, allegedly "Hacked" by an Unknown Group, and Aferwards Published by "WIKI-LEAKS", which UnMasked a SCANDAL that led to the RESIGNATION of the Leadership of Obama/Clinton's Party ! - From the one side, "You have Groups (of People) that are Wondering why the FBI (already since Obama's tenure, Back on 2016) Never took the Server" of the DNC (Comp. supra), Trump denounced. And "I have" also "President Putin - who has just said : - "it is Not Russia" (i.e. Moscow's Government), which hacked DNC's Servers. >>> "But", at any case, "I really Want to see the Server" which was allegedly "Hacked" at the DNC !, the US President stressed, as a matter of Principle. - "I have been Wondering that, I have been Asking that for Months and Months, and I have been Tweeting it out, and I have been Calling it out on (Web's) Social Media : -Where is the (DNC) Server? I Want to Know. Where is the server, and What is the Server saying ? ", (that some, probably, seek to Hide), Don Trump Questioned. - "But, I doN't think that it can go on, withOut Finding ou What Happened to the (DNC) Server ! ... Where are the Servers ? They are <<Missing>>. Where are they ? ", Trump lively insisted. Many Experienced Observers immediately reminded that he pointed at the Case of the 3 "Awan Brothers", from Pakistan, who had been Hired to deal with Dem. Party's Computer Servers at the US Congress, including that of former DNC's President, Debbie Wasserman - Schultz, (who had been Obliged to Resign, after that DNC Emails' Scandal, Comp. Supra). The Awans controlled Dozens of MPs' Servers, whose Contents had been Moved Elsewhere, withOut even Informing them, and Handled in Violation of several Security Rules, while they were making several Visits to Pakistan, often working from there, by Remote Control methods, until Imran Awan was arrested at the Airport, on pretext of a Fraud, but, in fact, in order to Prevent him from Flying away, until Investigations were made. Before being Fired, those strange Awan Pakistani Brothers were Working at the same DNC section as Seth Rich : the Young IT technician who was Murdered in 2016 on his Way Home, that Many have suspected to be the main "Leaker" of DNC's E-mails to "Wikileaks", whose Chief, Assange, has vainly Campained, together with the Victim's Family, to Find what Happened to him, (even with an Award of some Thousands $ for anyone who would provide Information able to lead to the Arrest of the Murderers). >>> Interestingly, by the way, according to CoE's "PanEuropean/International Treaty of "Budapest" on "Cyber-Crime", the "Criminal Offence" of "Data INTERFERENCE", is "Committed" whenever Anyone "Intentionaly" proceeds to a "DELETION" and/or "SUPPRESSION of Computer DATA", Unlawfully ("withOut Right", as it's written in its Article 4). => Hillary Clinton's 33.000 Emails' notoriously abnormal "Disappearance" from her Servers, (Comp. Supra), might fall under this category of Cyber-Crime too. + while, in addition, Urging to Enlarge the Scope of relevant Investigations to Various Other kinds or Incidents of probable Interferences by Several Different Factors, which have been curiously Neglected, or even Scandalously Ommitted by those who Insist to Accuse and give them Lessons from an obviously Partisan point of view, serving too Narrow interests of some Political Opponents. See, f.ex., among others, also the Cases of Soros' systematic Interferences in Other Countries, the Strange Refusal to check the DNC's Servers, and/or the Curious UnderEstimation of Hillary's "33.000" Missing e-mails, etc., as well as the Suspected "Money Laundering" of about Half a Billion €, by Transfering them (without even paying the due Taxes) from Russia to Hillary's Electoral Campaign in the USA, (See relevant Facts Cited Above), etc. => Will, they, Now, Accept, at last, to Start Following a Transparent and Balanced Procedure, in order to Fuind all the Truth about All real "Interferences" on Elections, without Petty Partisan Exclusions, or Not ? After this 2018 Helsinki Summit, History will Judge them all, (as well as the various People who are Watching what is Really going on). 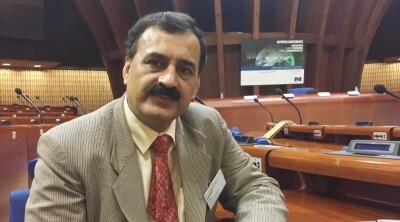 Top+CoE Expert on Cyber-Security Pavan Duggal to "EF": WEB INTERFERENCE IN ELECTIONS WILL BECOME THE NEW NORMAL ! - In our Question, "Eurofora" pointed at the Fact that, Recently, with those Growing "Hot" Issues of alleged Web "Interferences in Elections", Cyber-Security Changed its overall Environment, passing from Traditional "Crime", towards a quite Different Context, where it's also "Freedom of Expression" which is at Stake, inter alia, as well as Pluralistic Democracy, so that Both Efficient and well - "Balanced" Solutions must be Found, in order to Avoid "Risks to Discredit" the Fight against CyberCrime, (as certain Other Keynote Speakers had just Warned, during that CoE's Conference). What could and should be done in such a Context ?, we asked. - "I think that Web Interferences to Elections is, Now, going to Become the <<New Normal>> ! ", Duggal surprisingly Warned, in Reply to the above mentioned "Eurofora"s Question, from the outset. - "It's Going to Happen", more and more, as we already saw, f.ex., in the case of "India, the Biggest Democracy in the World", he pointed out. - In this regard, "the Only adequate Protection should be, potentially, Guided by the (Global) Cyber-Security Community", Duggal suggested. - Inter alia, also "Because it can Influence Many Elections", he pointed out. - And, "the kind of Power they (culprits) can get is Massive", he estimated. - However, "Unfortunately, the electronic processes in the World, are Not yet Up to Date, in terms of coming up with the Adequate Cyber-Security Mechanism", Duggal Criticized. - In particular, "Cyber Security Law is a Priority Area", he pointed out. - "But, we Need to Continue Working on that", the Experienced International Expert Urged, in Conclusion, on this Topical Issue. In this Context, the Fact that, Nowadays, the 2 Biggest Nuclear Powers in the World : USA and Russia, have just Started to Feel the Need to try to Use some Legal Tools in this area, according to the Proposal just made at this Helsinki Summit (Comp. Supra), as well as to Activate a Cyber-Security Experts Group inside the "G20" Summit, already since July 2017 in Hamburg, Germany, (Comp. Supra, and our NewsReports from the spot, f.ex. : ..., etc), Confirmed now at this July 2018 Bilateral Helsinki Summit, might Pave an interesting Way. The Importance of the American and Russian Delegations of Experts and relevant Officials, during CoE's recent International Conference on "Cooperation against Cyber-Crime", between 11- 13 July in Strasbourg, (See, f.ex., among others, also : ..., etc), could prove to be just another Timely Step in this overall Direction, for the General Interest of all the Cyber-Community. The incoming Swedish EU Presidency (July-December 2009) may still remain in favour of Turkey's controversial EU bid, despite June 2009 EU Elections' results, but it has "very strong demands on Turkey"'s obligation to respect EU Rules, said the Head of Swedish Foreign Ministry's Press Service, Cecilia Julin, to "EuroFora", reacting to critical Press reports. - "I know (that) the link is often made also to Sweden's position on Turkey"'s controversial EU bid. Indeed, "we (Swedish EU Presidency) are very much engaged in the future membership of Turkey, but not without fullfiling all the Criteria". - "It's very clear that we (Swedish EU Presidecny) have very Strong Demands on Turkey, in a sort of concept for Future membership of the Union, ...which will be a Long Process...", she stressed. This means, in particular, "the Copenhagen Criteria (on Human Rights, Democracy and Rule of Law), and also the adaptation to the Acquis of the European Union". - "If you listen to what Mr. Bildt (the Swedish Foreign Minister) says on Turkey at different occasions, it's very clear : We want Turkey to become part of the Union, in the Future. But we want it to fullfil all the Criteria : The Acquis of the European Union. That's very clear", she concluded. The Senior Official of the Swedish Foreign Ministry was reacting to critical Press Reports, from Brussels' Journalists invited by EU Commission's secretariat to Stockholm, who claimed that Bildt was abusing of a ..."Whip" (sic !) against Cyprus, by "threatening" the presence of UNO's Peace-keeping force at the "Green line" which separates the island's Government-controlled areas from the territories occupied by Ankara's army, if Nicosia didn't accept any political solution, regardless of Turkey's demands, before the end of 2009. Governing AKEL Party's new Secretary General, Andros Kyprianou, reacted by declaring that no-one can threat the People of Cyprus : -"We shall decide for our Future, and nobody else", he reportedly said, asking to "keep calm". "In order to find a Solution soon, certain basic Principles must be respected", he stressed, calling those who feel an urgency to use their influence on Turkey. Other Political Parties were more critical. This was a reference to recently reported statements by Turkish Minister Bagis, Prime Minister Tayip Erdogan and Turkey's National Security Council (a Military-Political body), accused to push towards a partitionist "2 States" solution, contrary to UNO SC Resolutions for Cyprus' reunification. December 2009 is a crucial moment for EU's appraisal of Turkey's controversial EU bid, because EU Council has decided to review then Ankara's compliance with the European position on the recognition of Cyprus' Government, which was clearly set out by an EU reply of 21 September 2005 to Turkish Prime Minister Tayip Erdogan's claims, refusing to recognize even the existence of EU Member Cyprus, in controversial statements he made to London (former EU chair) on July 29, 2005. EU Parliament's latest Resolution on Turkey, adopted on March 2009 in Strasbourg, warned Ankara that "the non-fulfillment of Turkey's commitments... by December 2009, may further seriously affect the process of Negotiations" with the EU. In practice, the issue boils down to Ankara's "embargo" against Ships and Airplanes using Cyprus' seaports or airports at the strategic EU island, which traditionaly hosts one of the World's biggest Shipping flags. EU has already "freezed" 6 relevant Chapters in EU - Turkey Negotiations since December 2006, after Ankara refused to fullfil a commitment it had undertaken when EU had decided to open controversial "accession" negotiations with Turkey, back on December 2005. - "As far as EU - Turkey relations are concerned, it's clear that Turkey needs to fullfil its obligation of full, non-discriminatory implementation of the additional Protocol (to "EC-Turkey Association Agreement"), This is an important issue....and should be addresseed as soon as possible as it clearly affects the pace of the accession negotiations.Issues covered by the Declaration of September 2005 will continue to be followed up, and progress is urgently awaited", warned earlier in Strasbourg the out-going Czech EU Presidency (former vice-Prime Minister Alexander Vodra). But the Head of the Swedish Foreign Ministry's Press Service, Cecilia Julin, dismissed "interpretations" by "some" that Foreign Minister Carl Bildt was reportedly "threatening" Cyprus with consequences on the UNFICYP, if it doesn't accept any solution until December 2009, while Turkey is reportedly delaying in an attempt to impose a partitionist "2 States" solution. On the contrary, Julin, stressed that "Sweden has strong demands on Turkey'"s respect of "Copenhagen Criteria and EU Acquis". Meanwhile, Sweden is "concerned" about the risk of "Stalemate" in Cyprus' Talks, but is well aware that "the main responsibilities lie with the two leaders and the UNO", Europe playing only a role of "facilitator". After carefully verifying, the Head of Swedish Foreign Ministry's Press Service, stressed to "EuroFora" that Bildt's reference to UNFICYP "was not linked to a Threat", and dismissed those who "interpreted" it so. On the contrary, the Swedish EU Presidency acknowledged the fact that Peace Talks are mainly for the UN and the leaders of the Cypriot communities, EU's role being limited into that of a "facilitator". As for Turkey's reported attempts to impose a "2 States' solution", the Head of the Swedish Foreign Ministry's Press Service sharply replied by stressing that Turkey must respect the "EU Acquis" rules. - "Basically he (Bildt) underlined that it's the leaders of the two communities in Cyprus and the UN that have the main responsibilities for solving the problem", started to say the Swedish Senior Official to "EuroFora", referring to the above-mentioned "briefing". - "But the EU had a role in sort of pointing out the benefits and facilitating a little bit the outcome for the settlement of the whole Cyprus' issue", she added. - "And he did state the Fact, that the rest of the World (i.e. USA, etc) will, of course, look at the differend issues which are at the table, and the future of the UN Peace keeping force is part of what is at the table", she admitted. - "I understand that some have interpreted that as a Threat, by the Swedish Minister" "But", in reality, "it's a statement of a Fact, that, when we'll look at the differend issues, one of the issues on which we shall have to take a stand on, is the future of the UN Peace keeping force in Cyprus". Indeed, one of the questions usually raised for a Solution of Cyprus' issue is what International and/or European or other Guarantees, by a Peace-keeping force, might be needed afterwards, eventually for a transitory period. - "He (Bildt) didn't say it in that way"... "It was not linked to a threat, or anything like that", the Head of the Swedish Foreign Ministry's Press Service stressed. On the contrary, "he (Bildt) underlined that the main responsibility lies with the parties concerned on the island". "The EU can try to facilitate and show the benefits of reaching a settlement. But also, when the EU and the rest of the World (i.e. USA) will have to look at it, they will look at all the Facts on the table, and the presence of the UN Peace-keeping force is one". And "he (Bildt) didn't speak about that at all", she replied to "EuroFora" question on Turkey's reported attemps to impose, in one way of another, a partitionist "2 States solution". - In fact, "the EU is really very concerned with the Stalemate in the situation. Yes ! ", the Head of Sweden's Foreign Ministry's Press Service anounced. That's why Bildt "was hoping for the two parties (i.e. for Turkey's also) to engage and break, a little-bit, the present stalemate, come to a solution of the issue" of Cyprus. - "Turkey must fullfil the EU Acquis : That's clear ! ", the Swedish Senior Official stressed. More details are expected when Swedish Prime Minister Reinfeldt will debate his Programme with new MEPs at EU Parliament's plenary mid-July in Strasbourg, that he has visited already in 2008. Foreign Minister Carl Bildt became familiar with Strasbourg's CoE last year, when Sweden chaired the PanEuropean organization of Human Rights. As EU chairman-in-office, he will also chair the 27-member States strong EU Group inside the 47-member States strong CoE. Minister for EU affairs, Cecilia Malmstrom is well known at EU Parliament, where she has been an active MEP of the Liberal Group for many years, following also Press Freedom issues. Both have already made various statements at "EuroFora", on differend topical matters.